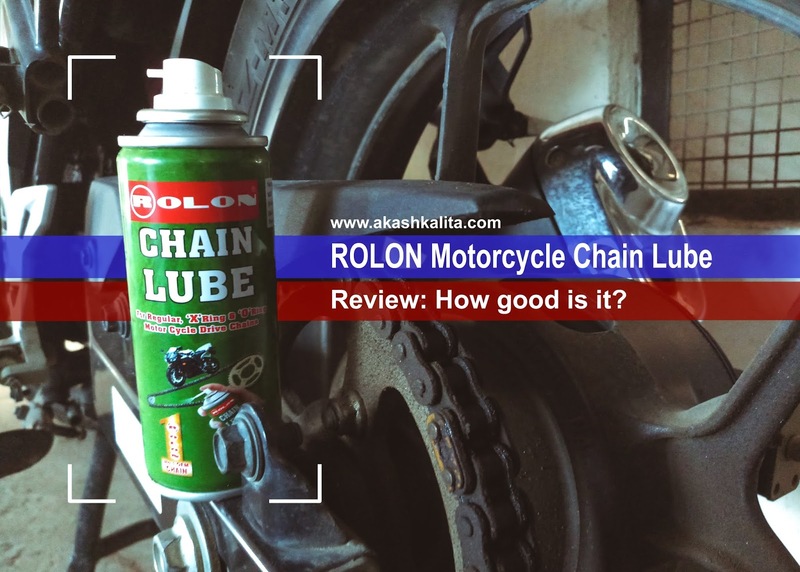 Akash Kalita: Rolon Motorcycle Chain Lube: How good is it? The chain of a motorcycle is the component that transfers the power from the engine to the rear wheel. But it is also the component that takes a lot of friction. Increase in friction between the chain and chain sprocket leads to wear and damage in both the chain and the sprocket. This leads to loss of power transfer to the wheel, clunky sound, vibrations on the motorcycle, and higher damage may cause the chain to come out of the sprocket. To avoid all these the chain needs to be cleaned and lubed regularly with good quality chain cleaner and chain lube respectively. But this article is about Rolon Chain Lube, a motorcycle chain lubrication product. 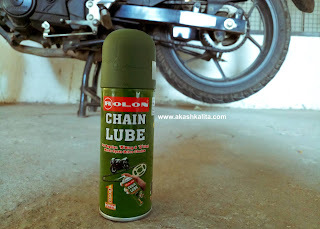 There is a wide range of motorcycle chain lubes available in the market and the Rolon Chain lube is one of them. Although not as popular as the chain lubrication products by some famous brands the Rolon chain lube is surprisingly a great product. The lube comes in a 120ml spray can with a small nozzle and is easy to apply. The directions for usage and storage are mentioned on the can itself. Just wait for 5 minutes after applying the lube to the whole chain and you are good to go. 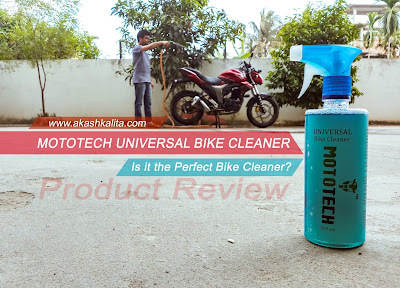 The motorcycle instantly feels a lot smoother after applying the product. It also eliminates the noise that comes from a dry chain or non-lubed chain. The brand claims that the periodic interval between two lubrication is 500 km but I personally feel that the interval greatly varies according to the road conditions. If the road conditions are too muddy or during monsoon season the chain might require to be lubed after an interval as short as 350 km. The overall product is great and helps in reducing friction, prevents stiffening of the links, and keeps the chain running smooth. The cost of the 120ml lube can by Rolon is INR 140 (might vary with time and location) and if used properly can be used for a fair duration. Lastly, considering the price of Rolon chain lube, it can be concluded that it is a good quality product if not as great as some high quality, more expensive lubricants but it definitely works and serves the purpose it is supposed to.